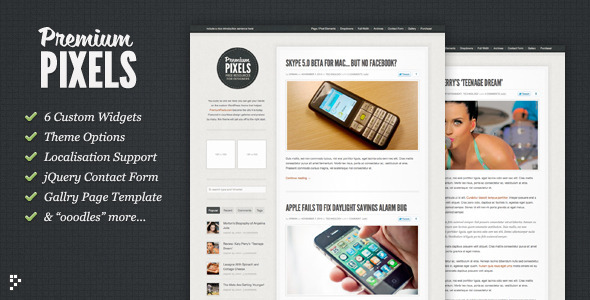 Premium Pixels is a theme created by ThemeForest, perfect for the blogger which takes pride in their appearance. This theme has appeared in numerous design galleries while serving PremiumPixels.com and has gained countless ‘nods of approval’ from those in the know. Now it’s all yours.